This is unbelievable…well not because Venom was a bad movie, but based on the initial flack it received, I’m actually surprised it ended up doing so well. Thanks to its second weekend in China, Venom has earned over $780 million at the worldwide box office with $210 million earned domestically and $207 million earned in China alone. 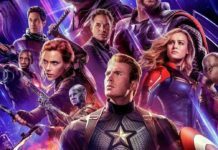 In short order, the film is expected to top 2016’s Deadpool, which earned $783.1 million globally in 2016 and is the highest earning film in Fox’s longrunning X-Men cinematic franchise. This also puts the Sony superhero film on track to earn over $800 million worldwide and potentially outperform the studio’s Spider-Man, which earned $821.7 million in 2002 and is second only to 2007’s Spider-Man 3 as the top Marvel movie outside of the MCU. The film has been an unlikely runaway hit for Sony, despite reports of a troubled production, lukewarm reviews (the film currently has a critics’ score of 29 percent on review aggregate site Rotten Tomatoes), and a lingering debate over whether the film and its titular antihero are a part of the Marvel Cinematic Universe or in its own cinematic universe entirely, one lacking the presence of the character’s longtime comic book nemesis, Spider-Man. Of course, the key to Venom’s surprise success is linked to the lethal protector’s own enduring popularity.